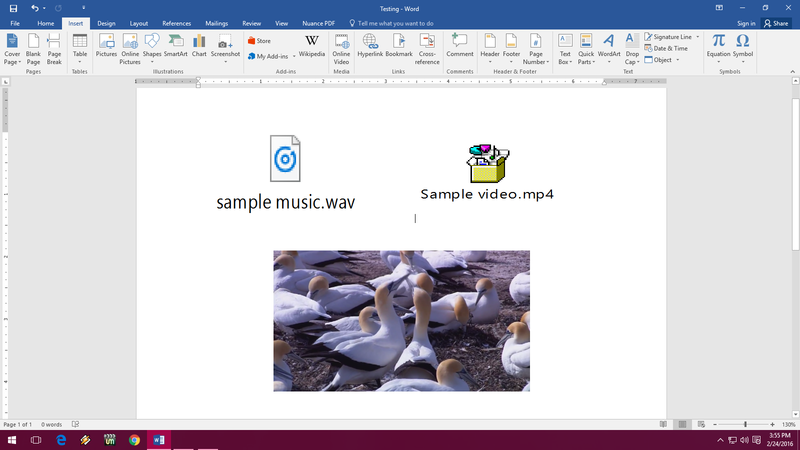 We all knows how to insert music and video in PowerPoint, but today I am going to show you how to insert music, sound and video files in Microsoft Word document, this method will work all the versions of Word from 2003 to 2016. Follow these steps to know how to add music & video In MS Word. 3. A music and video file will added to word, just double click on that to play.